You can own a car for years and still find interesting design details that you never noticed. 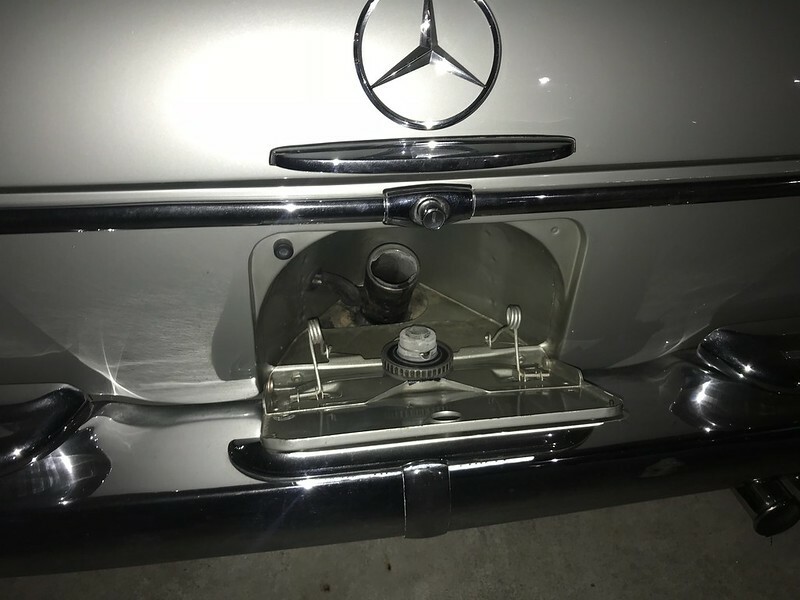 I’ve owned W111’s for around 10 years and today discovered for the first time that the W111 fuel filler cap door can be held open with the fuel cap. Another example is the little brackets on the DS bumper that keep the rear wings from scraping. There is a little moulding on the door that holds it open if the cap is placed against it. All these years I have been holding the door open with my hand or the petrol pump. Also turns out I am missing one of the rubber bump stops as well. This is a rather clever piece of design. I would imagine this is the same for other related models like the W110, W112, W108, W109 etc.